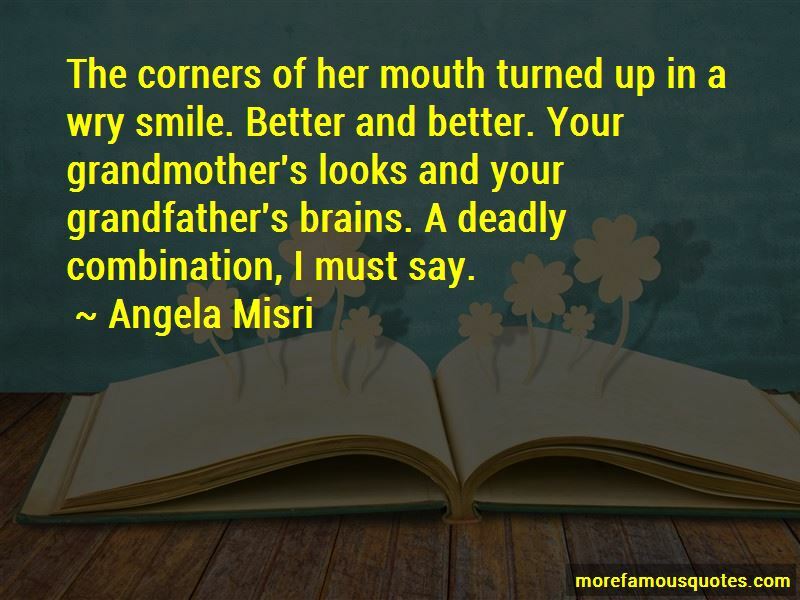 Enjoy the top 5 famous quotes, sayings and quotations by Angela Misri. I shook hands with the attorney, advising him to forgive the cat he had banished from his offices since a child had been the downfall of the bird, not a feline at all. The scratches on the birdcage were months old, while the small, sticky chocolate fingerprints on the cage door were less than a week old. 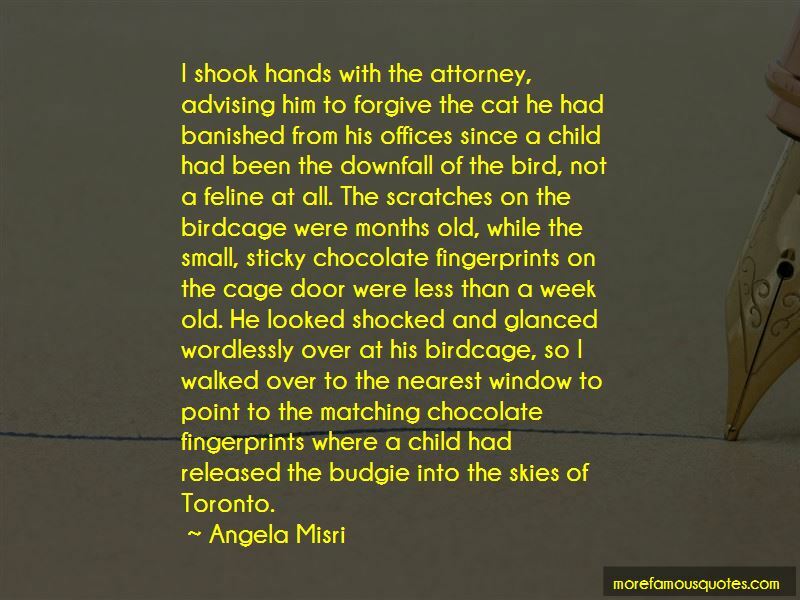 He looked shocked and glanced wordlessly over at his birdcage, so I walked over to the nearest window to point to the matching chocolate fingerprints where a child had released the budgie into the skies of Toronto. “She leaned back, closing her eyes and blowing out a thin wisp of smoke. "He was always a good-looking man. Your eyes are from him, the same blue, but you are slimmer of build and have your grandmother's exotic face rather than his rounder, friendly one. He was a bit of a bounder, as men of his looks are apt to be." I grinned at this, adding to my mental picture. The corners of her mouth turned up in a wry smile. Better and better. Your grandmother's looks and your grandfather's brains. A deadly combination, I must say. 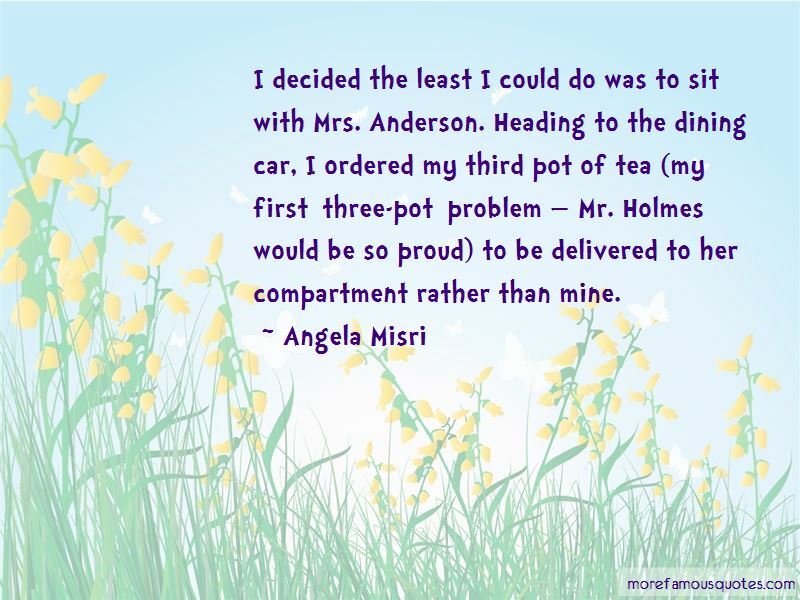 Want to see more pictures of Angela Misri quotes? 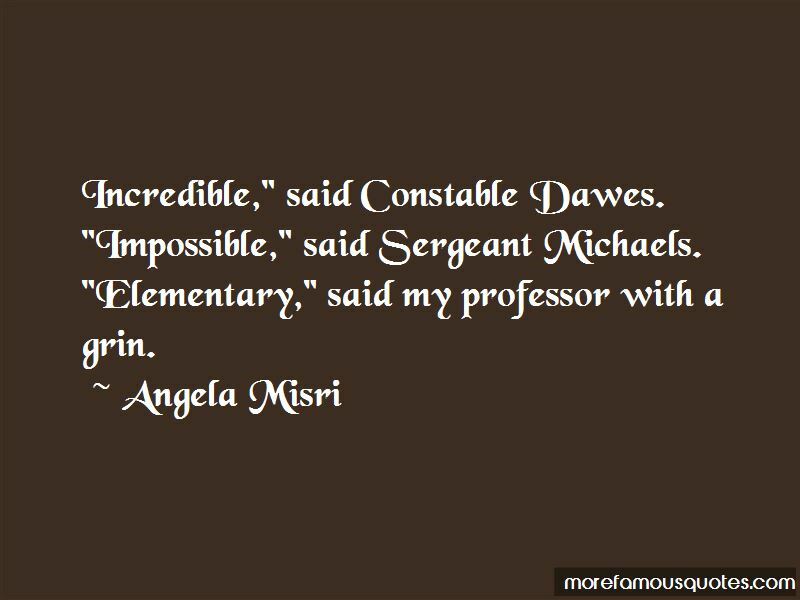 Click on image of Angela Misri quotes to view full size.